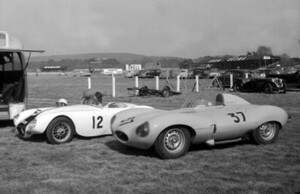 In 1955 Alex McMillan raced a Cooper Bristol F2 car, widened and fitted with a Rochdale F-type body, known as the Bristol Barb. 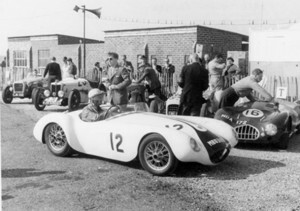 At the end of the 1955 season McMillan bought an Elva Mark 1, registered MBU 309 and again a Rochdale F-type bodyshell was fitted (again with the white & black colour scheme), but unlike the previous car was fitted with wire wheels, headlights and a full width screen. 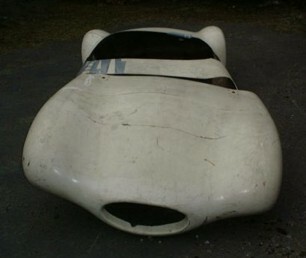 As with the Cooper Bristol the Elva was sold to Niall Campbell Blair who continued to race it. September 2006 bought by Peter Morley from John Cox, Polperro, Cornwall. At some point in the 60's the original body was replaced by a Falcon body as fitted to a lot of other Elvas. 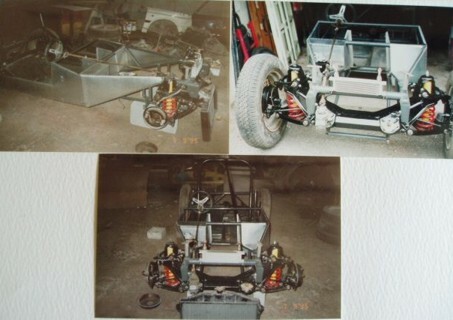 It is currently being restored with a Climax FWA engine and the correct MG T-type gearbox. 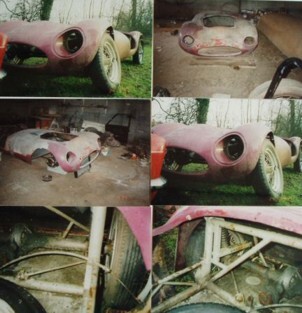 I've just bought what appears to be the only surviving Rochdale F-type body, it has never been fitted to a car but does require some work to restore it to its former glory, but it does mean the car will now be restored to its original specification.